While I love seeing all the new beauty gadgets people have, I don't normally go after every single one. I lean more on the practical side, and if there's something that will make my routine even faster, I'm all for it. 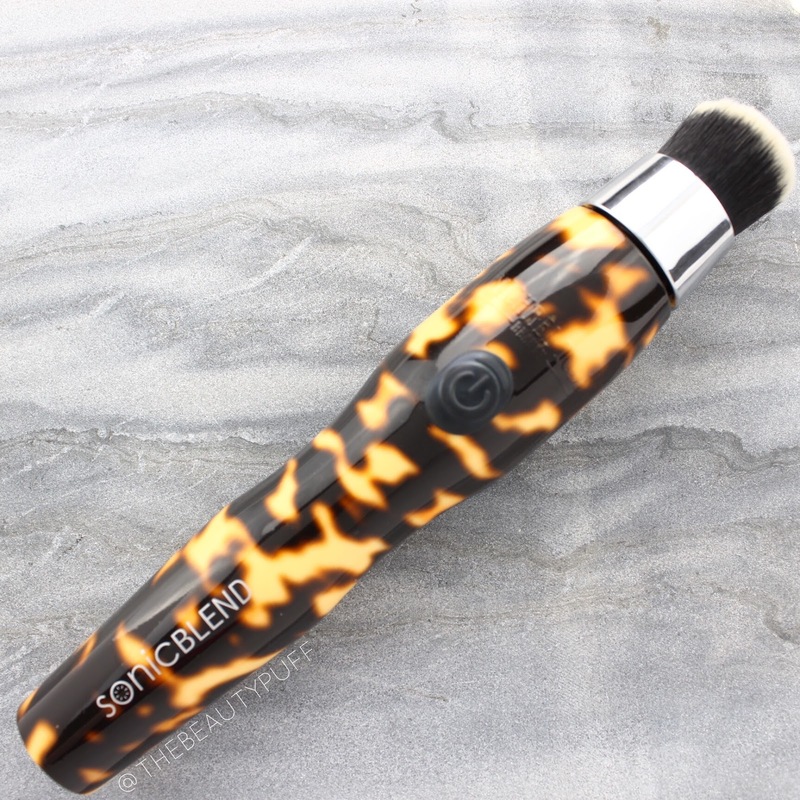 The Michael Todd Beauty Sonicblend brush is the first motorized makeup brush I've ever come across. Not only does it make applying foundation easy, but it also provides an effortless, airbrush finish every time. The Technology | The Michael Todd Beauty Sonic blend brush does more than spin. It uses sonic movements to evenly disperse makeup without pulling or tugging on the skin. The brush itself is antimicrobial so it will stay fresher, longer. Application | With sonic technology, the brush is able to move so quickly that makeup particles fill in fine lines and pores, leaving skin as smooth as possible. Also, product is applied more evenly and efficiently, resulting in less product on the skin. That means clearer, healthier skin and I'm all for that! Each time I apply my makeup I love seeing how natural and flawless it looks - never cakey or overdone. And, applying my makeup feels like getting a little massage. How nice is that?? Use + Care | Before first use, plug the brush into a power source using the included USB cord. Allow it to charge completely. The brush can be used with any formulation of foundation, bronzer, or blush. Press the power button and run the brush across your skin in circular movements to evenly distribute product. To wash the brush head, simply remove it from the handle and clean as usual. This prevents damage to the motor and allows for easy cleaning so your brush will last as long as possible. Style | If you love a customized look, you'll love the choice of colors this brush comes in - classic black, sleek white, feminine pink, or vibrant tortoise shell. The personalized look also makes these brushes a great gift! If you're looking to make a great investment in your beauty collection, you'll love the Sonicblend brush by Michael Todd. You can choose your color and also choose from different brush heads that are sold separately. You can get a replacement flat top brush (which is the style that comes with the Sonicblend brush), a round top brush, or a natural round top brush head. Shop below!